Keep collaborators and document owners posted about new edits and comments. 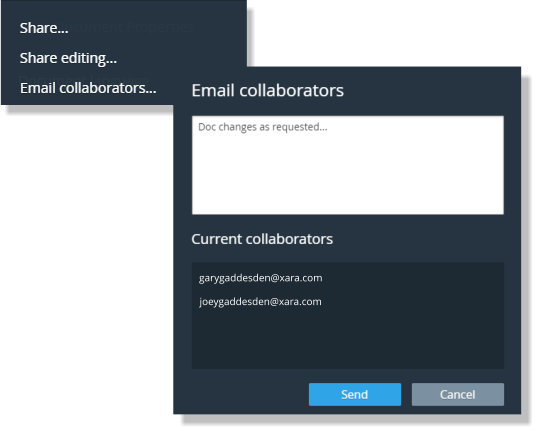 If you have shared the document then the context menu on the comment box shows an Email collaborators… option. 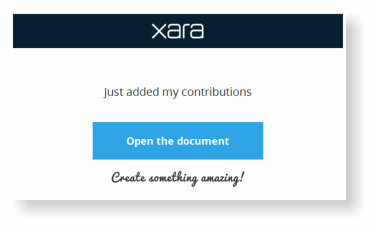 Once the document has been shared - everyone who has opened it is added to the collaborators list, so this includes users who might access documents through a shared folder on a cloud drive for example. It also means that you don't have to keep on laboriously adding email addresses to the share list. You can also see who's on the list in the Current collaborators field.